In June 2003, my office (part of a large educational organization) closed due to budget cutbacks. Because of my years of service with the organization, and because I’d held another position that wasn’t being eliminated, I had “bumping rights.” I looked at all my options, including the job market, and all my responsibilities, including my son, then made the difficult decision to stay employed. This meant I would bump another person out of their job. Although I could narrow the list down to people who held my former position, I had no way of knowing whether they could also “bump” or if they would end up in the unemployment line. My son and I adjusted for my new income by moving in with my mother. As mental preparation, I assumed that the person whose job I would take was a hard worker, well respected and loved by co-workers. I had no idea how true those assumptions would prove. Evie, the person I bumped, is one of those people who mothers everybody and whose love is returned — along with admiration and respect for the work she does. Evie showed her style in the way she counseled those around her to accept and assist me. She felt the changes meant that she was needed somewhere else. However, one employee was affected more than the others were. Nancy was not only Evie’s partner at work; she and Evie are best friends. Nancy’s personal struggle was made all the more difficult because she would be responsible to train me. And we would have to work closely even once I got a handle on the job. Nancy and I met at a kickoff event for the new school year. She sat directly across from me. We didn’t speak much, but kept an eye on each other. I think the ice started to melt when she (approvingly) caught my reaction to one of the events that day. Things continued to improve over the next few weeks as we got to know one another better and talked about our thoughts and feelings. Nancy must have done a lot of thinking and praying, because over time it became clear that she had appointed herself to be my protector. Once the school year began and we were meeting with teaching staff, students and employers, Nancy made sure we presented a united front. When people seemed upset about losing Evie, Nancy told them that Evie was doing well and was obviously needed at her new job. Evie could have resented my part in forcing her to change jobs, but she accepted the shift with dignity and grace. And Nancy could have remained hurt and angry, and treated me accordingly, but instead put her feelings aside to help me. Now Nancy is not only my partner, she is my friend. 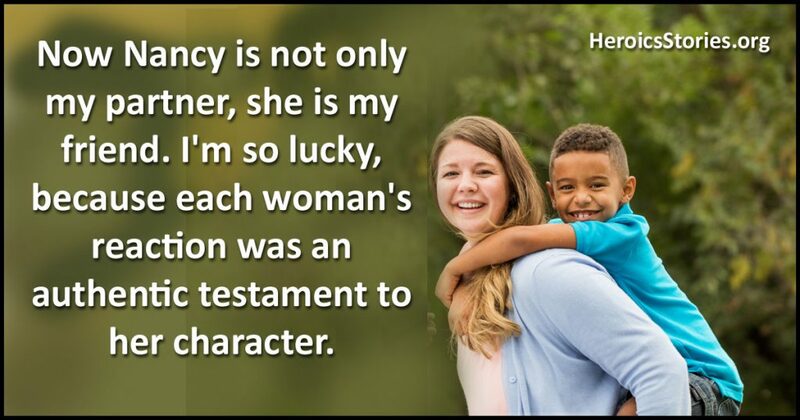 I’m so lucky, because each woman’s reaction was an authentic testament to her character.